With a certain delay I post some pictures of an event in which I was involved some months ago. In September La Piccola Armata took part of the Marsaglia Battle reenactment. Thanks to the great work of two club members (Marco G. and Luca P.) La Piccola has exhibited a reproduction of the battle. The reproduction included both the map and the units involved in the struggle. 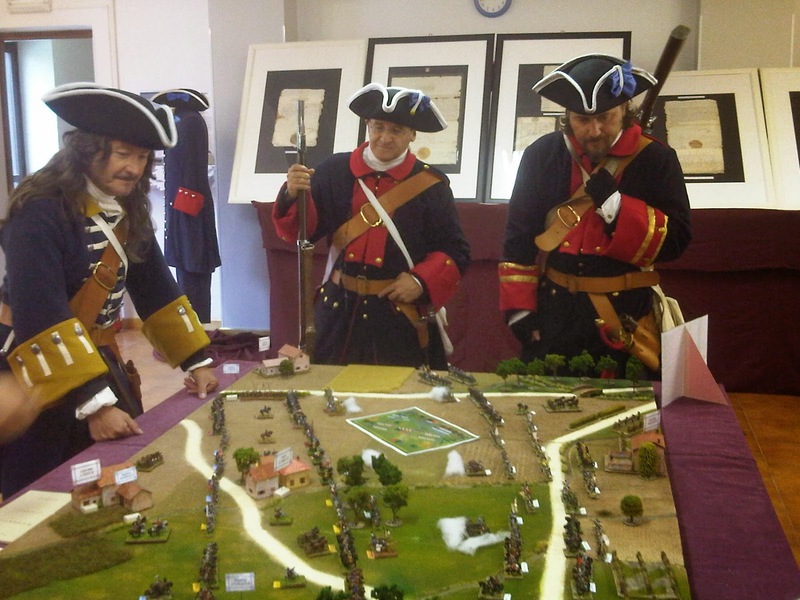 The battle was fought on 4th October 1693 between the French and the Great Alliance army. The struggle was part of nine year’s war. The French Army was let by Marshal Catinat (known in Piedmont as the “butcher”) while Duke Vittorio Amedeo II of Savoy was the commander of allies troops. The French won the battle. The Piedmontese and their allies had 12,000 deads/wounded against Catinat’s 1,800.